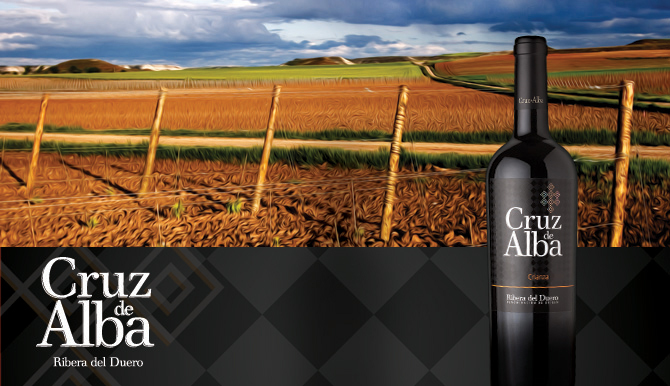 Cruz de Alba means “The Cross of Dawn.” Ribera del Duero (D.O. in 2008) is one of Spain’s most renowned wine regions. Biodynamically farmed from 30-plus year-old vines. Currently 60 acres of vineyards are planted. All fruit is hand sorted as it is received at the winery; all of the wines are artisanally crafted. Small stainless steel, temperature-controlled fermenters. 100% new American and French oak barrels are used for every vintage; 600 barrels in all (60% American, 40% French oak).